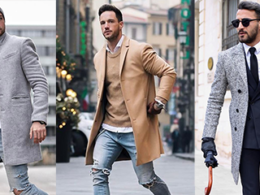 Find out what men’s hairstyles are trending in 2018. 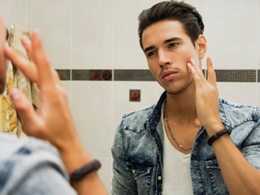 Discover the best new hairstyles for men that work best for your face shape. Using pictures to determine which hairstyle you want to get is not easy. Most of the time the outcome will not be completely satisfactory. The reason is that there are many important factors to address when you choose your hairstyle. 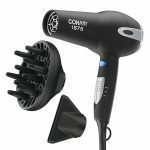 For examples, your hair type, hair thickness, face shape, styling time and ability, and also the budget because you might need to buy some hair styling products. That’s why the pictures we are sharing below are just a guideline or inspiration for you on your next style, you should always open to your hairstylist and seek for more professional advice. 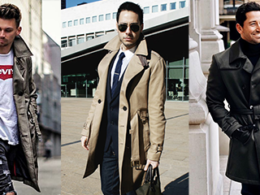 Hair trends are constantly changing, but usually, men’s hairstyles don’t change drastically from one year to the next. Many new haircut styles that emerge are inspired by past fashion trends. 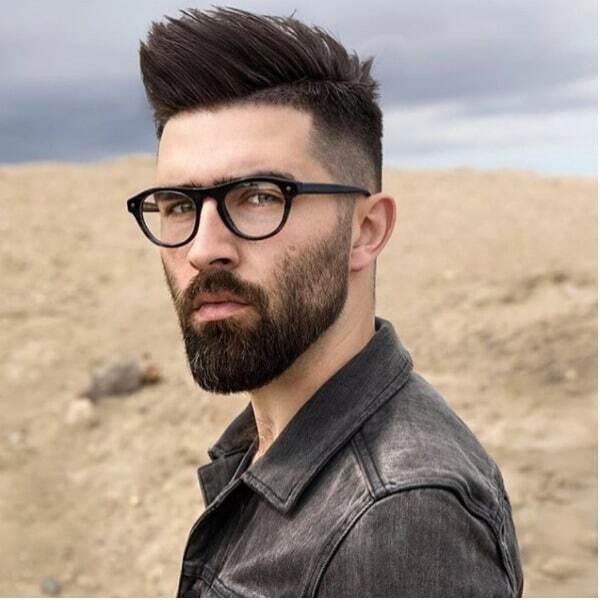 Nevertheless, no matter how many new haircut styles come out, there is always a choice for every man, from fade to taper, quiffs to mohawks, pompadour to slick back, and crops to faux hawks. 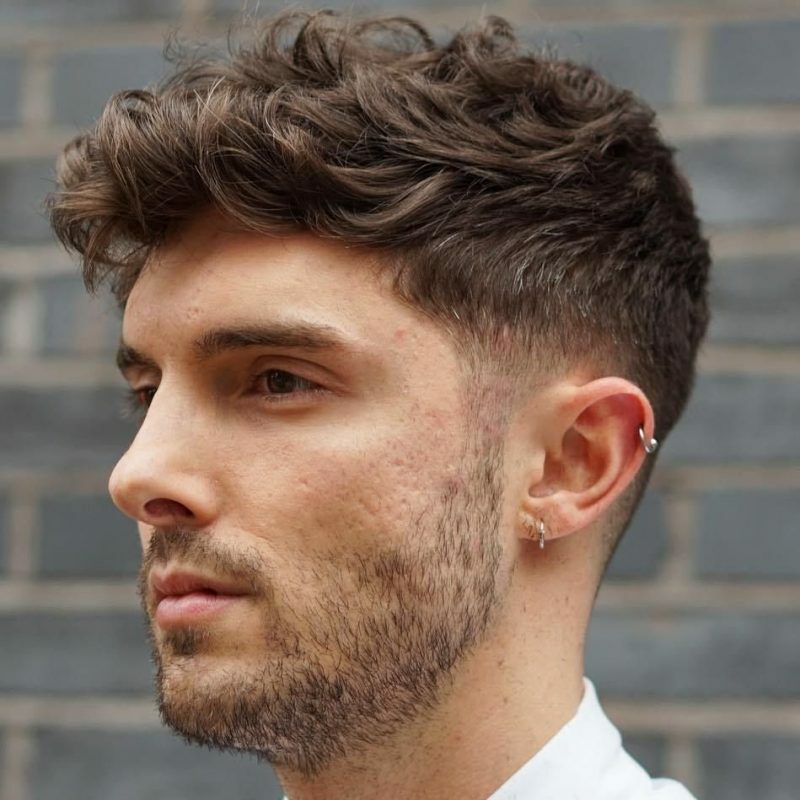 Among all the trending haircut styles for this year, fade or undercut continues to be the dominant trend for men with short to medium length hair. 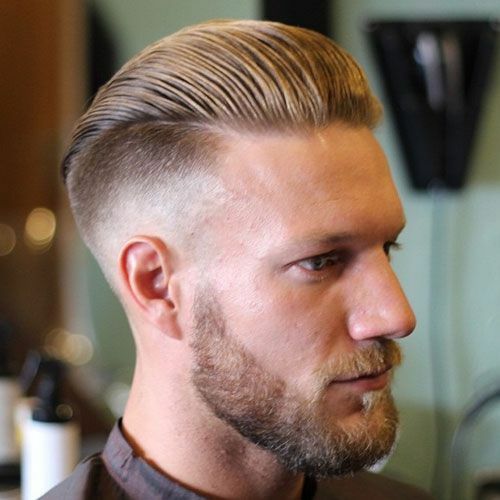 The best examples are an undercut with a hard side part or a bald fade cut with a slick back hair. 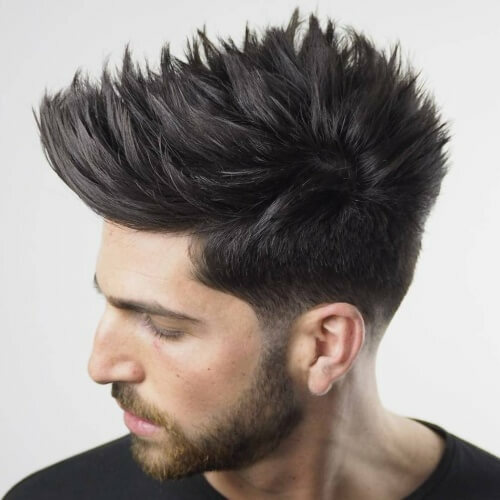 Both hairstyles allow you to style other cool looks with the hair at the top, like the pompadour, faux hawk, fringe, quiff, brush back or spiky. 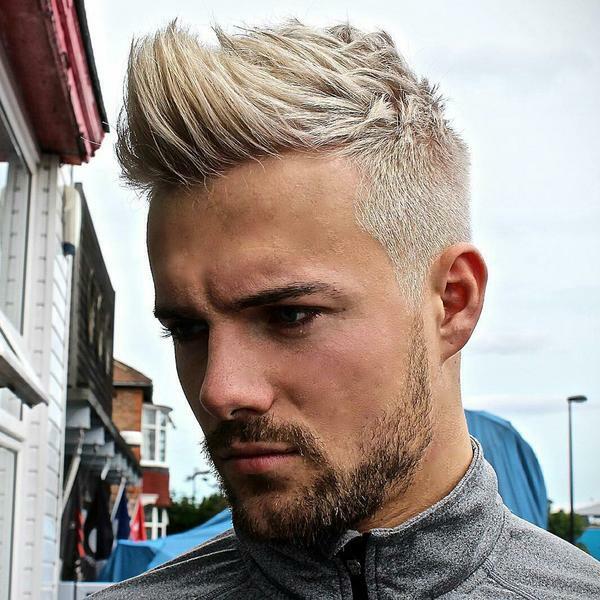 We’ve chosen 17 latest new hairstyles for men in 2018. 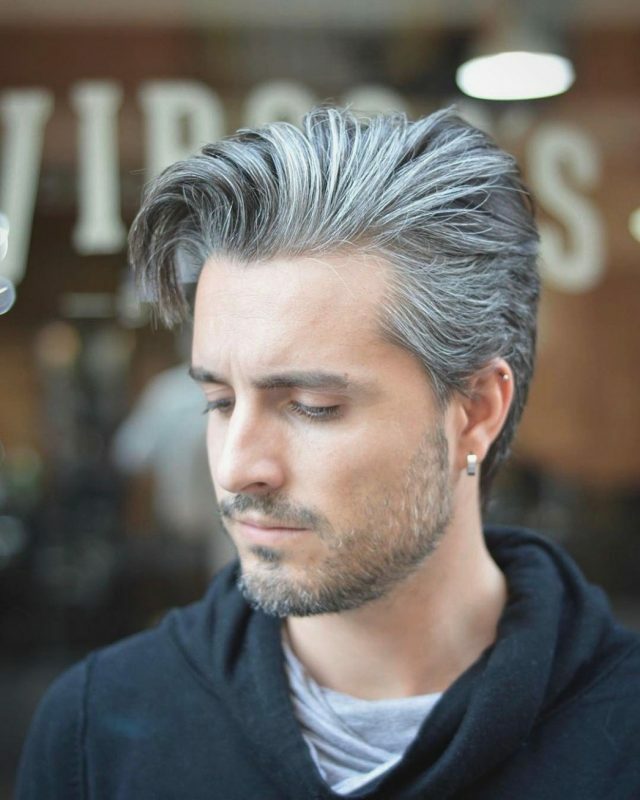 The list includes a number of long, medium, and short hairstyles for men who may want to experiment with very short to long hairstyles. 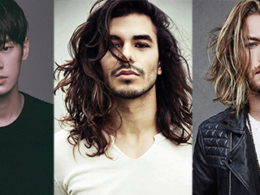 You don’t have to worry about whether the hairstyles we’ve chosen suit your hair type or not because all the pictures we’ve picked below include men with thick, thin, curly, wavy, or straight hair. So now, let’s start to explore the most popular men hairstyles in 2018. 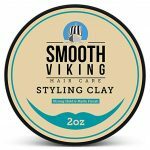 One of the popular haircuts that has recently gained some popularity for its simplicity and fast styling. 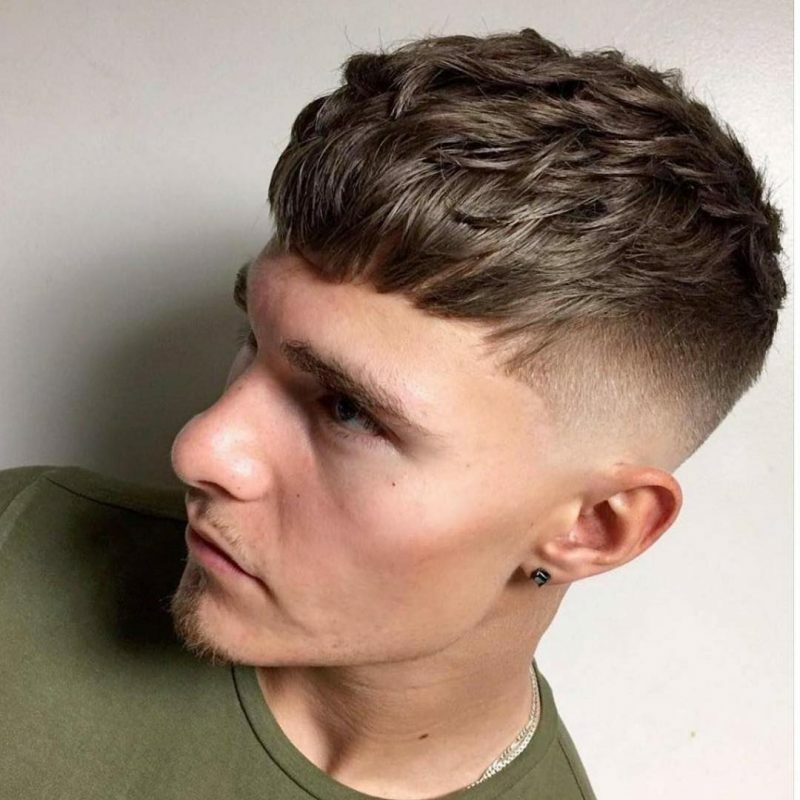 The texture crops are always identified by a fade haircut on the sides combined with a shorter hair on top, and usually styled a wax or matte pomade. 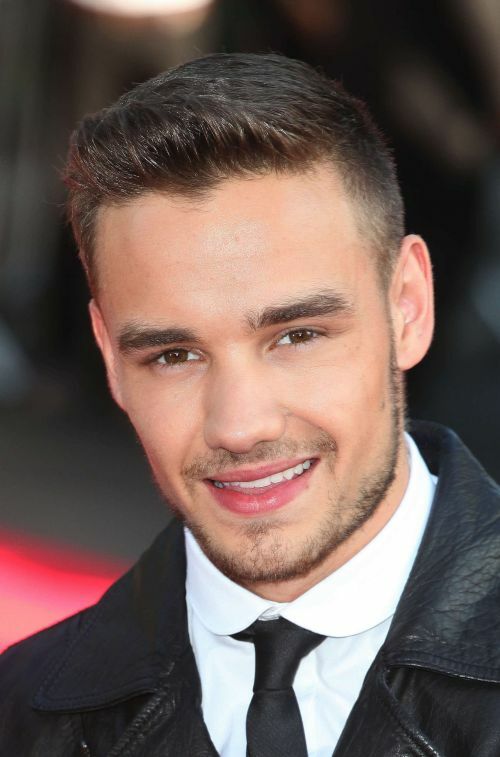 Quiff is one of the most iconic haircuts that has been existed since 1950 and created some big news during that time. This fashionable and sleek hairstyle combines extra length hair on the top with the short faded sides. Pompadour is almost similar to quiff haircut but pompadour has sleeker, neat and sophisticated hairstyle. 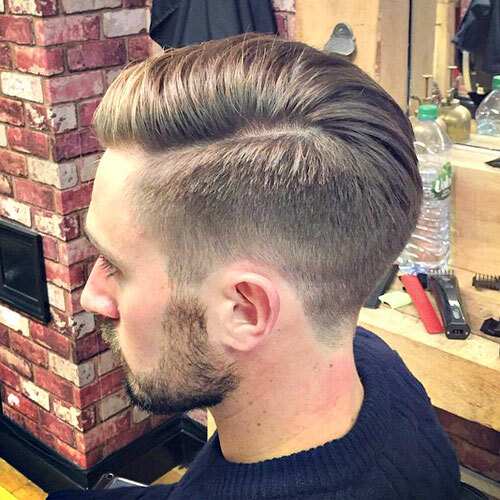 The two main features which are similar to quiff haircut are the short sides and a long hair on top, but modern pompadour is frequently combined with an undercut to give a refreshing look without distorting the lines of this vintage style. 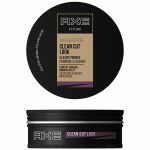 If one kind of hairstyles that can remind you on your favorite punk rockers, this hairstyle definitely will be the rebellious hairstyles – mohawk and faux hawk (aka. fohawk). 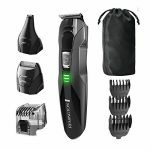 This haircut all these years has gone through some adjustment from the long hair on top to the shaved or faded sides, but still maintains the idiosyncratic strip of longer hair running down the middle of the head. 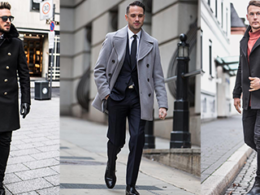 If you are looking for a classic and modern look, the comb-over haircut is one of the best options to go with. 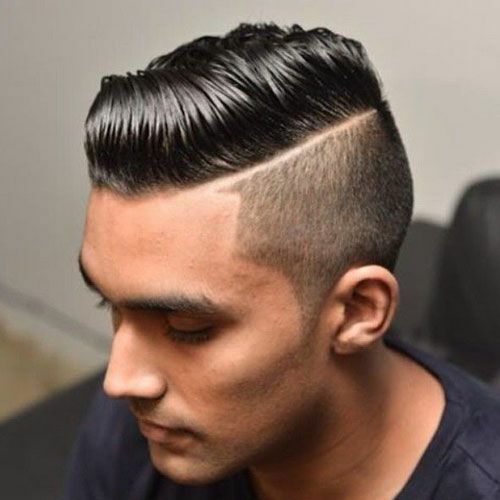 To create comb-over hairstyle, you can either choose a low fade to an undercut on the sides or a short or medium length cut with a hard part on top. 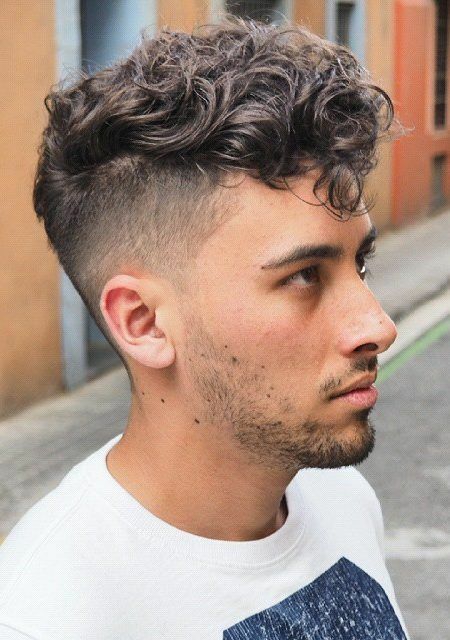 Tapered haircuts are similar to fade, but what made tapered haircut unique is the sides are not cut with clippers, instead it is cut by scissors for a longer look. 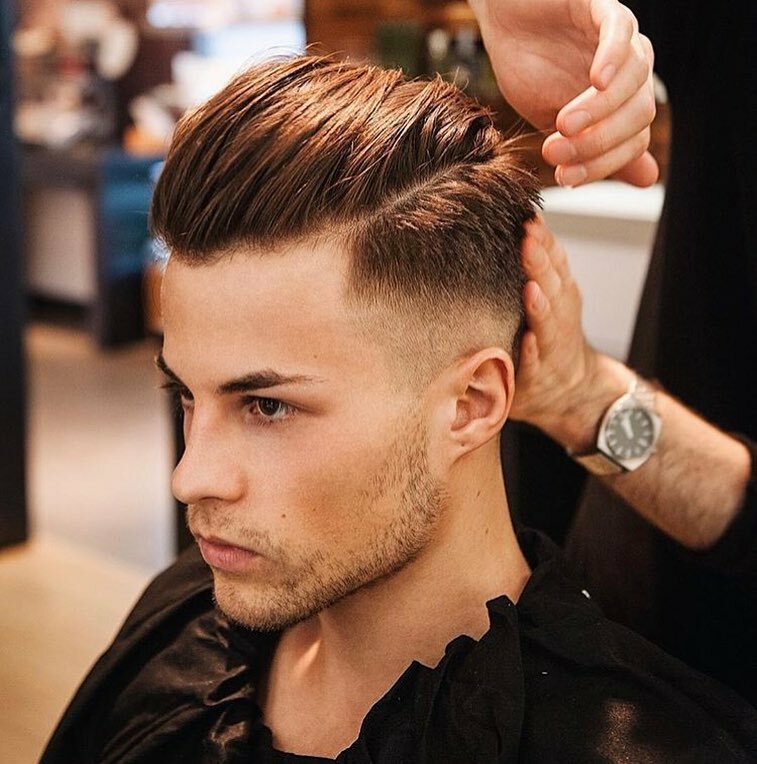 Although slick back haircut is a classic and iconic hairstyle that is commonly seen on the head of professional businessmen, the slick-back undercut has started to become famous among the hipster Millennials. 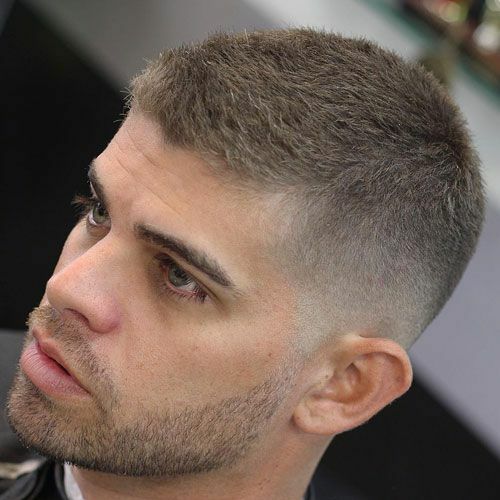 Crew cut is a very short haircut for men and boys, and it is known for the military look it creates. 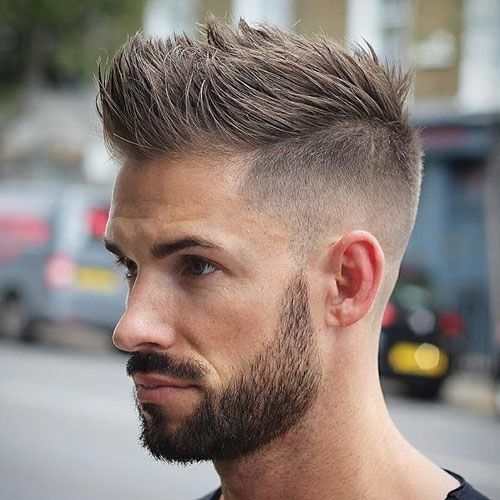 Crew cut cannot be applied to all kind of face shape, so it is advisable that you ask your barber to add some variations to the cut in order to make the look better-suited for your face. Ivy league cut the same way as crew cut, but unlike crew cut, ivy league haircut leaves enough hair on the top to be parted. 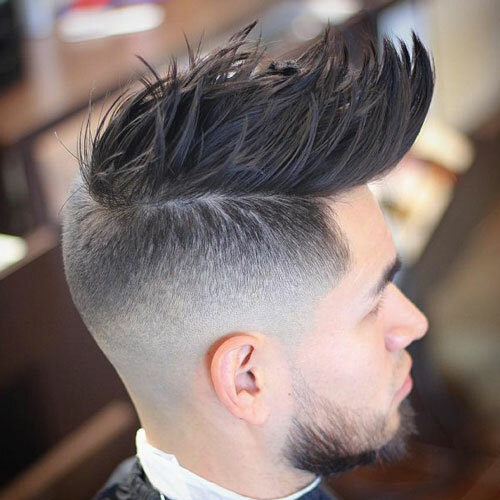 This haircut finishes with faded sides so choose a low taper fade for a more conservative look or a high skin fade for a more stylish look. 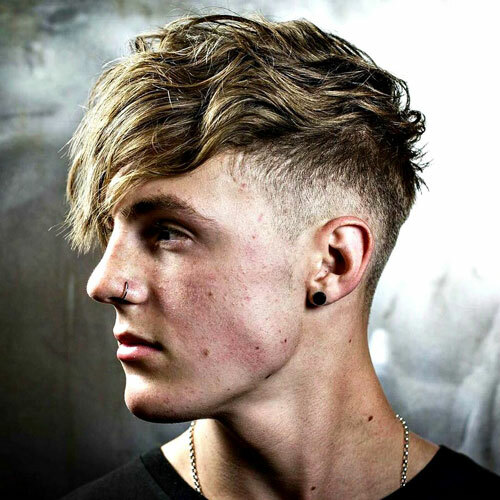 The angular fringe haircut is a hairstyle where the sides are cut into somewhat short and the top is left relatively long. Angular fringe is the perfect hairstyle for those who love medium length haircut. You can choose whether to go for a shaped messy or a straight fringe, and the result will create lots of textual and visual interest. Wavy hair falls under the curly hair category. Wavy hairstyles feature bigger and looser curls than a typical curly hair. 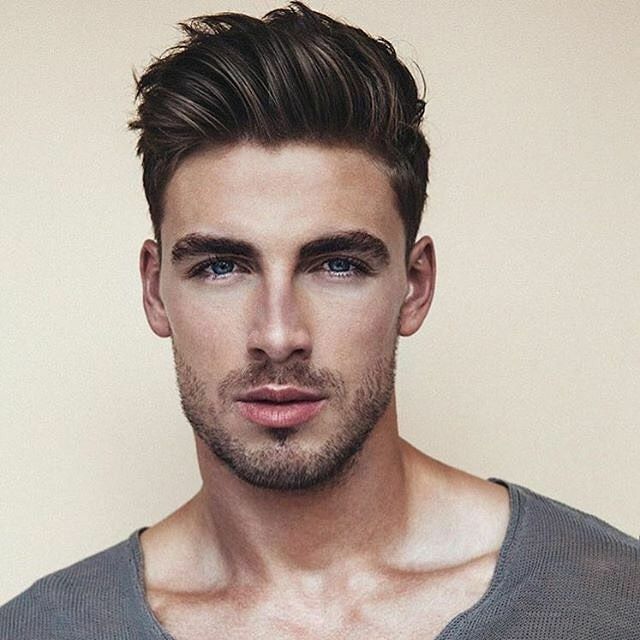 Natural hair colors continue to be popular among men. Changing your hair colors among black, brown, blond, and red, do an excellent job at giving you a fresher look without raising eyebrows. For the more adventurous men, the sky is the limit. Maybe I should say the rainbow is the limit because you can pretty much find every color imaginable. Social influencers are routinely spotted in some of the most outrageous hair colors not seen in the previous decades – neon green, pink, silver, and rainbow are among some examples. 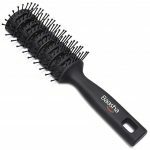 Although considered the parent category of the wavy hair, curly hairstyles are generally referred to smaller and tighter curls. Spiky hair used to be hugely popular in the early 2000s. 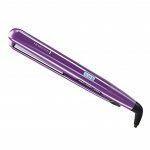 Its complete form didn’t make it in the 2010s, but its influence can still be found in some of the most popular hairstyles this year. Today’s spiky hairstyles look neater and have a general direction where the spikes point to. The hair spikes also look more natural, gone are the days when spiky hairs make you look like a costume player (think Son Goku from Dragon Ball Z).